In the past week there has been a dust up on several blogs as to whether assertions about the purposes of language in the Bipartisan Every Child Achieves Act–ECAA, that has now unanimously passed out of Senate Committee, amounts to conspiracy theories. Now I cannot speak for others, but I too have read every page of ECAA. I recognize what certain terms mean and what other synonyms for the same phrases have been over the decades. We get to talk about those terms and that history without being accused of theorizing when we are having a fact-based discussion with sources. Moreover, the ECAA, whatever the intent of the Senators approving it or those who drafted it, has language that forces all states to abandon the “didactic purpose” of K-12 education because of how it defines “Challenging State Academic Standards” in the legislation. Now I will admit that I have always thought HOTS, as I abbreviate it, functioned like dialectical thinking, but I am a precise person. I do not theorize as to what is going on except in the privacy of my own mind or in speculations with a cat sitting in my lap as I research. We get to tie HOTS in ECAA to the term ‘dialectical thinking’ like we are all back at U of Moscow in the 60s because Educational Leadership published a series of essays in the 80s by Richard Paul where he explained that HOTS, and his concept of critical thinking that was equivalent to it, were also known as dialectical thinking. He cited Resnick and Tucker as I linked to above. Paul also made it clear that all these terms are designed around participation in a new, different kind of ‘democracy’ going forward.This is from an essay called “McPeck’s Mistakes: Why Critical Thinking Applies Across Disciplines and Domains”. And monitoring that development, and manipulating it as needed, through learning tasks, student learning objectives, prescribed activities, formative assessments, etc is precisely what the ECAA calls for once we track the language in it through to its actual meaning. http://www.nciea.org/publication_PDFs/CADRE%20CFA-StudentGrowthReport-Final.pdf is an April 2015 report called “Using a Learning Progression Framework to Assess and Evaluate Student Growth.” It is from the Center of Assessment involved in the pilot greenlighted under ECAA except those materials and the Student Learning Objectives Toolkit are in use in districts and states far beyond New Hampshire. The Cognitive Rigor Matrix described also relates to dialectical thinking and HOTS. That is what creates the cognitive complexity being called for. All the references to “careful study of student reasoning” or “understand student reasoning” or “based on student reasoning” are all trying to monitor the extent to which the student has moved beyond what Ralph Tyler called the ‘right answer’ syndrome into dialectical thinking. The desire to shift the Learning Progression (described in depth in my book) to “cultivating formative practices” comes from the desire to ensure that the student is using the supplied ideas, principles, and concepts desired in their everyday interpretations since that is what guides and prompts behavior. The same reason is also why there is a determination to get at motivation. Thinking and emotions must be integrated and that must control action. Again, thanks to Richard Paul for being explicit and all these intentions attach to these words and practices mandated or allowed by ECAA regardless of the intentions of any politician that votes for it. 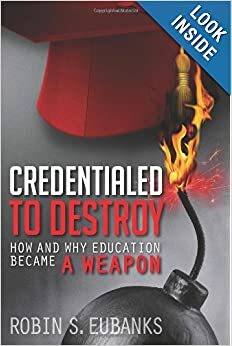 Before I go back to the 1960s to show once again just how long this desire to use the bribery power of the federal purse and its regulatory power to change the nature of K-12 education, let’s remember that virtually everyone involved confessed their transformative reasons. That’s why my book has so many footnotes. No need to speculate or theorize. If people say they are coordinating around a particular purpose, they do not get excused from scrutiny because someone yells ‘conspiracy.’ Anyone here ever hear of Guy Fawkes and the 1605 Gunpowder Plot? People conspire around the desire to get or keep political and economic power and to impose their pet belief systems on others. Anyone ever hear of Mary Queen of Scots and the Murder of Lord Darnley? Who a 16th Century Monarch married mattered if the ruler was a she because it affected political and economic power. Who had it and who wanted it. I bolded those terms because the Common Core has the same stated goals in what it is assessing for. That Learning Progression link and what Student Learning Outcomes means wants the same. Between the early 60s and the 1998 publication of the Assessing Science Understanding and now, the behavioral scientists discovered practicing behaviors was not enough. Students needed to be guided by principles and concepts they acted on arationally. That is what proficiency and competency actually now mean as this post made clear http://www.invisibleserfscollar.com/police-power-to-compel-adult-beliefs-meanwhile-values-manipulation-captures-young-minds-forever/ This federal manipulation apparently began with unappreciated language in the 2002 No Child Left Behind that ECAA would double down on. Monitoring and manipulating those mental representations that guide perception of reality and everyday behavior and likely actions is precisely what SLOs, a high quality assessment, Competency-based education, and formative assessment are all about. It’s what led to the Math and Reading Wars as my book makes clear. It’s why Outcomes-based education never goes away. It just gets renamed. It’s why this post’s title does not impugn anyone or allege a ‘conspiracy’. It simply understands ECAA in terms of the language used and the history of those terms. That statute and the educational activities and assessments to be carried out by states and school districts under its terms has a clear trajectory and purpose, whatever the personal intentions of anyone involved is. All of these aims are simply too tied to facts with clear purposes of social engineering. We cannot allow the mind and personality to be manipulated into an invisible prison by using the C word to bar rational discussion. Politicians wanting to expand their authority without either consent or publicity. That’s not a conspiracy. It’s just history properly understood. In a didactic, fact-based, soon to be forbidden, old-fashioned way. “the values, beliefs, and ethics that can bring our macroshift to a humane and sustainable conclusion. These ‘soft’ factors in the life of society are the new imperatives of our time–they are even more essential to success than the traditional ‘hard’ factors of economic, political, and business engineering and reengineering.” If the duration of this same intent and targeting of consciousness over decades surprises you and seems a bit conspiratorial, the Preface to the Macroshift book actually contains a shout-out to the creators of the 1970s World Order Models Project, by name, although WOMP itself is not mentioned. Many people have told me the WOMP post is the most alarming wake-up call they have ever read on this blog. http://www.invisibleserfscollar.com/reorienting-world-order-values-via-the-intervention-of-activist-education-and-progressive-politics/ The described organic reorientation of K-12 education fits perfectly with Papert’s goals for computer learning and the recently announced global curriculum redesign project with many of the same players involved with the Macroshift to a Holos Consciousness. It also ties the transition to the goals of “socialism with a human face’ described in that post. Yes, quoting Gandhi about needs is so much better from a PR standpoint than attributing the desired planetary ethic to Marx. However, the desired slogan of “Live in a way that enables others to live as well” is unquestionably a simple restatement of Uncle Karl’s small c vision–his human development theory. It was also tied to society getting to a certain stage of technological development that would supposedly allow everyone’s needs to be met without beggaring everyone. In ancient times all roads led to Rome. In the 21st century all education and other radical reforms of institutions and political structures seem to always wind back to that chronically unemployed 19th century moocher with a toxic vision. Which is why we keep the vision without attributing it back to the notorious name where it really started. Marx WAS right that consciousness was the essential component of getting a desired revolution in the real world. He was wrong though to believe it would be a natural by-product of social class. Holos Consciousness or insisting that learning be about concrete experiences that are relevant to real world problems are both just the latest attempts to alter consciousness in ways advantageous to anyone with hopes for radical transformation. Computers again are just a tool that lets those experiences be programmed as desired. By admission this Holos Consciousness is rooted in deep spiritual practices. It is a “collective evolution” with nothing but disdain for the individual. It is all about “adjusting our values, aspirations, and behaviors.” The latter of course is accomplished via the collection of data on students using poorly understood definitions of Competency, Student Growth, and Student Achievement. At no time are parents ever likely to hear the phrases–Marxist Humanism, Holos Consciousness, or the planetary ethic. Yet compliance with all these visions, which are in fact euphemisms for each other, will be actively guided, measured, and cultivated. From the reading selections to learning tasks to classroom topics and vocabulary to the nature of the open-ended problems on assessments and projects and digital curricula and online games.